One of the oldest continuously operating African-American churches in Eastern Virginia, Angel Visit marked its sesquicentennial with a yearlong schedule of events culminating in a grand jubilee celebration, the placement of a time capsule, and the release of a 320-page commemorative cookbook. Other special events included a kickoff ceremony, complete with the unveiling and blessing of the sesquicentennial banner and a ceremonial balloon release; a joint history observance with members of Antioch Baptist Church (Saluda) and Zion Baptist Church (King and Queen Courthouse); and Hattitude 2016 , a celebration of the African-American church hat tradition. Virginia Governor Terry McAuliffe also sent best wishes, as did Senator Mark Warner and Senator Tim Kaine. Essex County Board of Supervisors issued a resolution honoring Angel Visit. The celebration drew visitors and descendants of founders and church families from near and far — Martin Mitchell of Oakland, California, made the trip to attend the events. For its jubilee gathering, members of Angel Visit curated a time capsule containing copies of significant documents, news articles, letters and photos from Angel Visit’s storied past and present. The capsule was sealed in a vault inside the church, to be opened in 2066 at the church’s bicentennial anniversary. The sesquicentennial schedule of commemorative events was spearheaded by Trustee Bessida Cauthorne White, church historian, genealogist, activist and retired attorney. She was assisted in her efforts by Michael Gresham, treasurer and sexton, as well as an active planning committee. White is a third-generation trustee and fourth-generation church officer. Gresham and his siblings are the only known descendants of two different church founders. Angel Visit was founded in early 1866 by African-American members of Ephesus Baptist Church in Dunnsville. At the time, there was only one other black church in Essex County and none south of the town of Tappahannock. Founding members lived in communities from Tappahannock to Laneview, the southernmost portion of the county. In the winter, meetings were held in members’ homes, and during the summer, in brush arbor shelters constructed for the purpose. A deed dated July 12, 1867, notes the purchase of 1.5 acres of land on State Route 17, just north of Ozeana, at a cost of $45. Shortly thereafter, the first church was built. The founding pastor was The Reverend Washington Holmes. Sometime between 1891 and 1908, a larger church was built to replace the original structure. In July of 1893, Angel Visit purchased another adjacent acre of land for $30. The second church structure was destroyed by fire in 1917, and a new church was constructed around 1918. In the nineteenth century and early twentieth century, burials took place in family cemeteries located at members’ homes. However, around the turn of the twentieth century, a cemetery was established at the church. By the 1920s, most Angel Visit members were buried in the church cemetery. An ongoing project for the church today is to locate a slave cemetery near Upright, Virginia, that was deeded to Angel Visit by a white landowner early in the twentieth century. “We have the deed but don’t know exactly where the cemetery is or much else about it,” said White. aptistery was built in the sanctuary soon after 1930. Angel Visit made its baptistery available to other churches then and has continued to do so. Over the years, the church has continued to expand and improve. In December of 1937, Angel Visit purchased the Ozeana School property, 1.5 acres, for $300. The church’s parking lot is located on the old school property. In the 1950s, a Hammond organ was purchased, and a brick facade was added to the exterior of the building. In the ‘60s and ‘70s, the sanctuary was remodeled, and a new baptistery was added. Central air conditioning and heat were added, and an annex was built containing classrooms, a pastor’s study, a kitchen and a dining room. Angel Visit Homecoming, circa 1970. Many beloved traditions have marked the passage of time at Angel Visit. The celebrations of homecoming and church anniversary in August are among the most significant. Homecoming provided a way for persons who had moved from the rural south to the urban north during The Great Migration to reconnect with their families and southern roots, said White. Vacations were often planned around the church calendar, and it was not unusual for people to take off the entire week of homecoming so that they could attend Sunday services and stay for revival during the following week. Traditionally, the midday meal figured prominently in every celebration. The meal was served behind the church on a long table that had an A-frame covering. Each woman in the church would cook an entire meal which she would serve from her designated spot at the table for an “all day’s meetin’ with dinner on the grounds,” White explained. In recent years, homecoming and church anniversary have been celebrated together. Further, in October of 2003, The Reverend Dr. Carla E. Lightfoot was elected as the tenth pastor of Angel Visit, the first woman to hold that position. The installation of a set of exquisite stained-glass windows in the church’s spacious sanctuary has been but one of the many achievements during her tenure. Perhaps the crowning event of a year of sesquicentennial celebrations was the publication of Angel Visit’s cookbook, Gather at the Welcome Table, a collection of 370 recipes from 140 members of the church family which provides a snapshot of its culinary history. “The heart of the book is the recipes, but the food memories provide much of its soul,” wrote White. The book features anecdotes and stories that place the recipes in the context of their time and usage, with dishes that range from traditional soul food to nouvelle cuisine. The section divider pages in the cookbook feature various photographs of Angel Visit, and the background designs reflect the intricate ceiling pattern in the church sanctuary. Sprinkled throughout the book are adinkra symbols from the Akan people of Ghana. “Adinkra symbols have multilayered meanings that reflect the mores and values of Akan culture,” explained White, among them are symbols of God’s supremacy and gifts of life, grace and protection. The foreword was written by author/journalist/Alvin Ailey biographer, A. Peter Bailey. 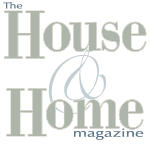 The House and Home Magazine would like to extend many thanks to Bessida Cauthorne White and Michael Gresham for their generous help with this article. For more information about the cookbook or Angel Visit Baptist Church, call (804)443-5977 or send an email to angelvisitbaptistchurch@gmail.com. Early church records are available to researchers at the Library of Virginia.